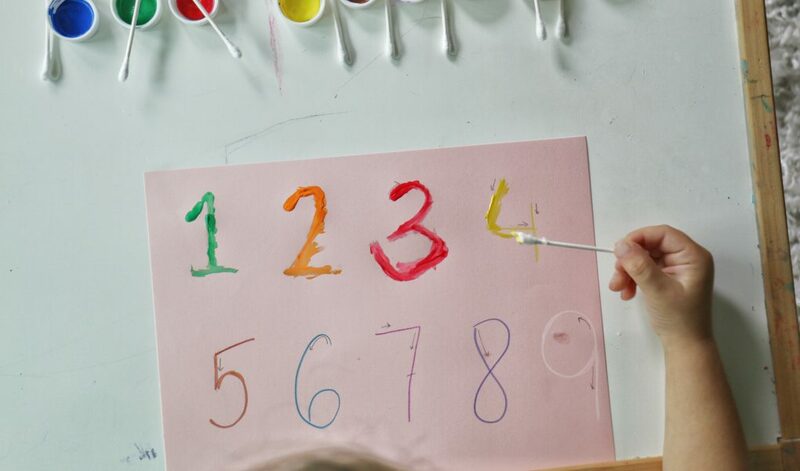 Q-tip Number Tracing is an excellent activity for toddlers and preschoolers! 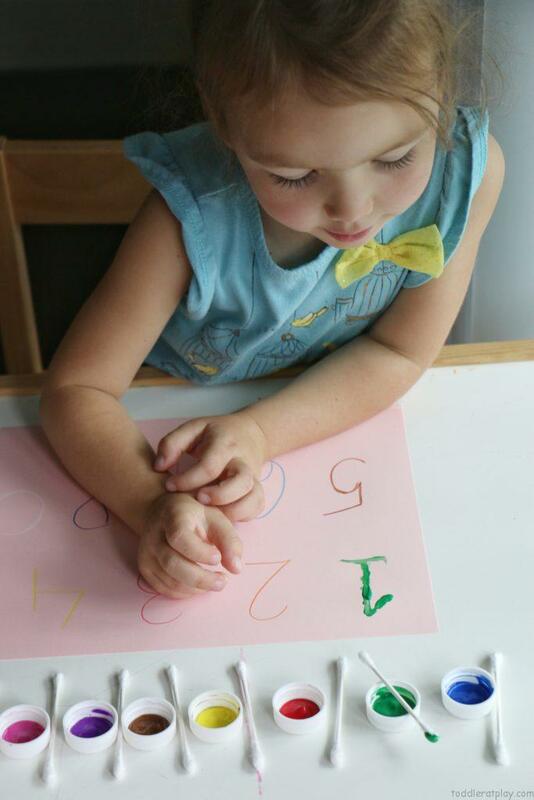 Tracing is fun, just ask the kids! 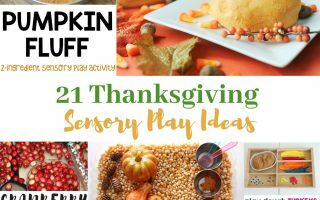 I’ve focused primarily on my preschooler during this activity. Mainly because I’m expecting effort and focus from her, she’s (4). So I kind of let Vik do his own thing. 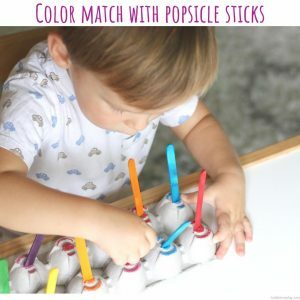 OF COURSE he had to mix all the colors together and create a big wonderful mess. But that’s okay. I know he’s too young for on-point tracing and diligent work. At least he’s working on his hand-eye coordination and fine motor skills….and maybe just a bit of focus. 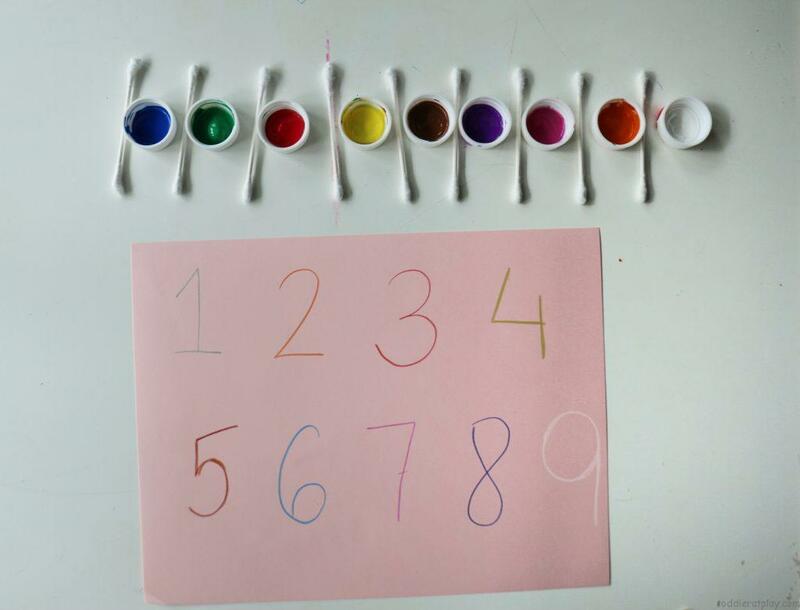 On a piece of cardstock (or cardboard) write numbers 1-10 using different colored pencils. 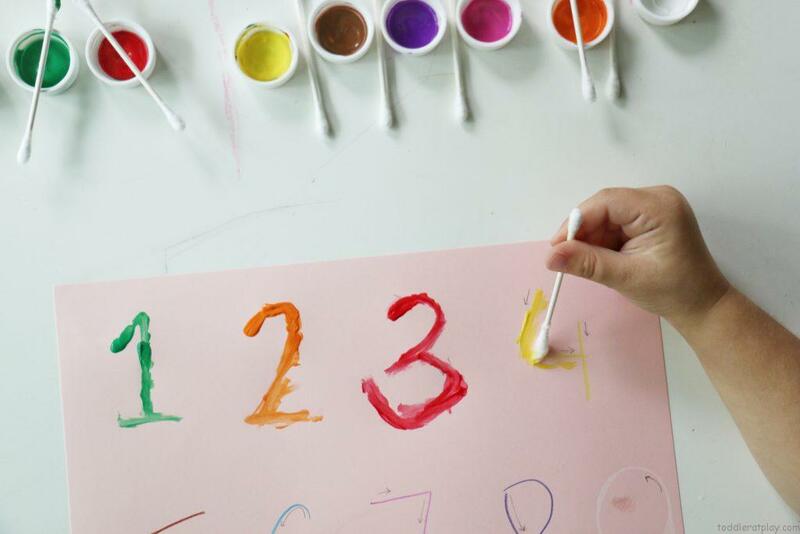 Add a bit of each paint color (matching colors as the numbers) onto a paper plate and stick a q-tip into each one (OR do as I did and use the cap from each paint bottle!). Rules are simple! 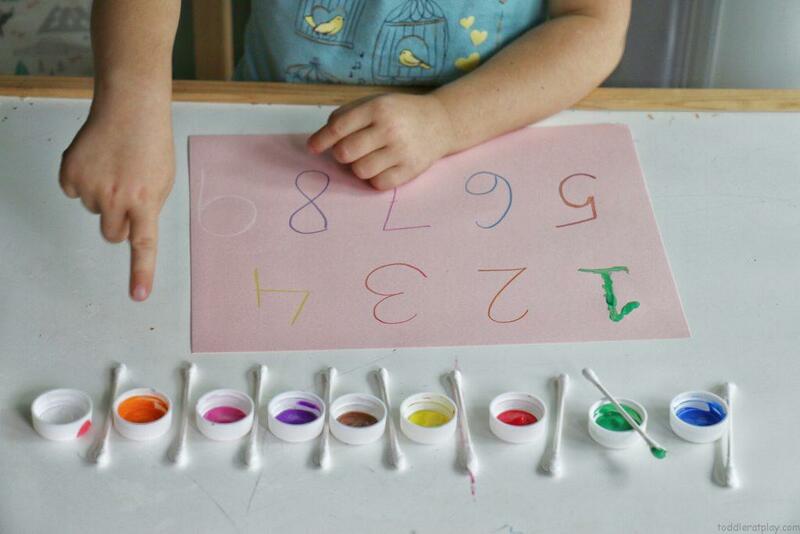 The toddler or preschooler has to trace the numbers with the q-tip and match the paint color to the number color! That’s it! 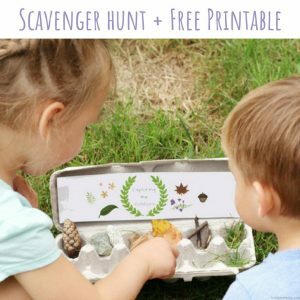 This simple activity is amazing! 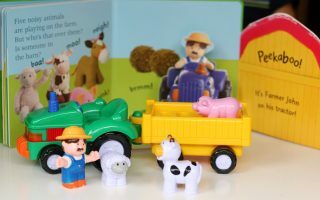 My kids loved it, I loved it, we all loved it! 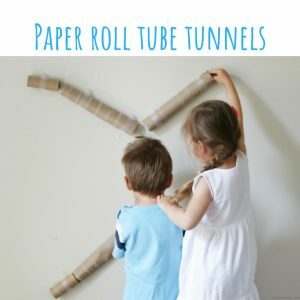 Best of all, when kids do an activity such as this, it’s hands on learning. 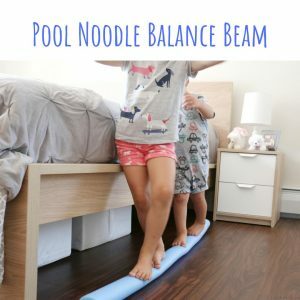 They improve so many important skills and learn new ones. 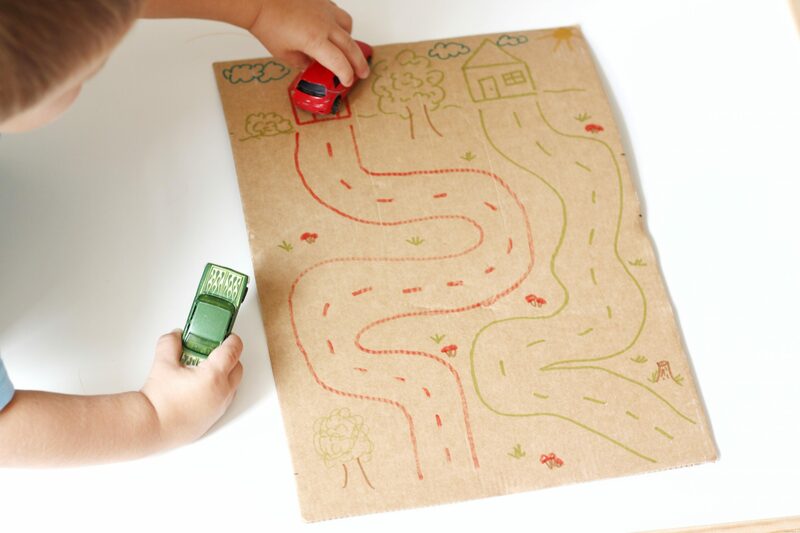 Tracing requires hand-eye coordination, focus and the use of fine/small motor skills. 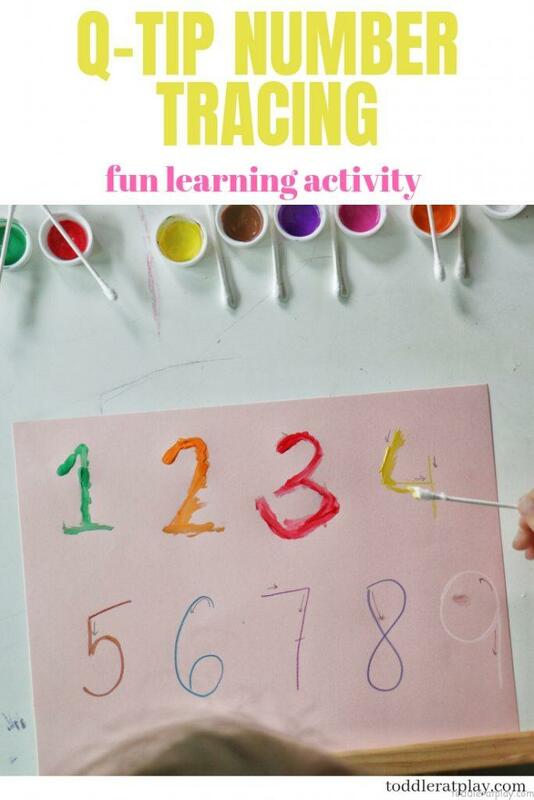 With this activity preschoolers (and even toddlers) can learn the colors and numbers in a fun way too! What are you waiting for? Get some q-tips and paint today!